As the beloved originator of the Chicken Soup for the Soul® series, Jack Canfield fostered the emergence of inspirational anthologies as a genre, and watched it grow to a billion dollar market. As the driving force behind the development and delivery of more than 123 million books sold through the Chicken Soup for the Soul franchise (and over 500 million copies in print worldwide), Jack Canfield is uniquely qualified to talk about success. 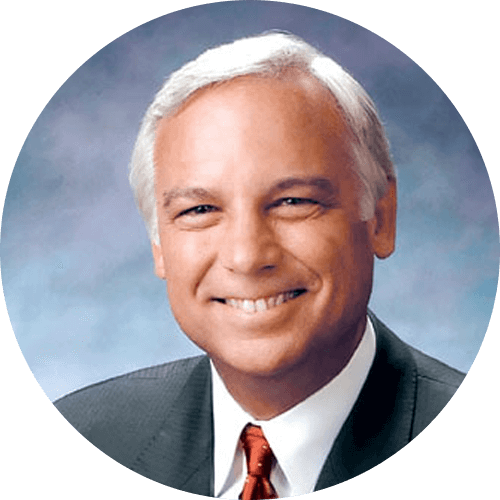 Jack Canfield is America's leading expert in creating peak performance for entrepreneurs, corporate leaders, managers, sales professionals, corporate employees, and educators. Over the last 30 years, his compelling message, empowering energy and personable coaching style has helped hundreds of thousands of individuals achieve their dreams. Jack is a multiple New York Times bestselling author. His other best selling books – The Power of Focus, The Aladdin Factor, Dare to Win, You’ve Got to Read This Book!, and The Key to Living the Law of Attraction, have generated millions of bookstore and Internet sales, and have launched complementary products such as audio programs, video programs, corporate training programs and syndicated columns to enthusiastic individuals and corporate buyers. Jack is the founder and former CEO of Chicken Soup for the Soul Enterprises, a billion dollar empire that encompasses licensing, merchandising and publishing activities around the globe. Jack's background includes a BA from Harvard University, a Masters degree in Psychological Education from the University of Massachusetts, and Honorary Doctorates from the University of Santa Monica, Parker College of Chiropractic and St. Ambrose University. Over the past 30 years, he has been a psychotherapist, an educational consultant, trainer and a leading authority in the areas of self esteem and peak performance. Jack Canfield holds the Guinness Book World Record for having seven books simultaneously on the New York Times Bestseller List. He also holds the Guinness Book World Record for the largest book signing ever for Chicken Soup for the Kid’s Soul. And he's the only author to have won both the ABBY (American Booksellers Book of the Year) Award and the Southern California Book Publicist Award in the same year – honoring him as both an outstanding writer and a consummate book marketer. Some of Jack’s distinguished clients include: Virgin Records, Sony Pictures, Merrill Lynch, Monsanto, Hartford Insurance, Glaxo Smith Kline, Scott Paper, Coldwell Banker, Federal Express, TRW, Ameritech, NCR, Young President’s Association, Chief Executives Organization, General Electric, U.S. Department of the Navy, Siemens, Cingular Wireless, Accenture, Children’s Miracle Network and hundreds of others.